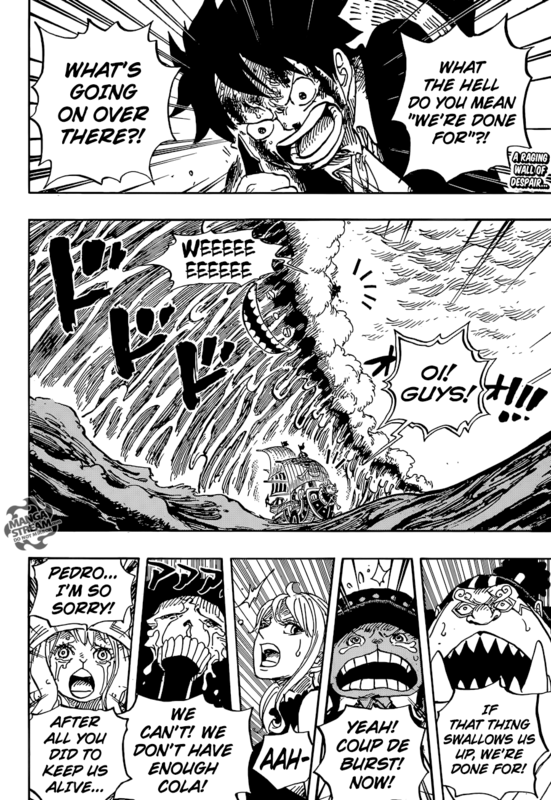 Luffy’s is notified by Nami that they have survived and smashed all the mirrors. Communicating through a mirror shard, Nami informs him that they will be meeting Sanji at Cacao Island in about ten hours. Katakuri attacks Luffy, who swallows the shard of glass. He informs Nami that they need to hurry, Katakuri reveals a trident made of mochi. He mocks Luffy suggesting that he knows what his last words are going to be. 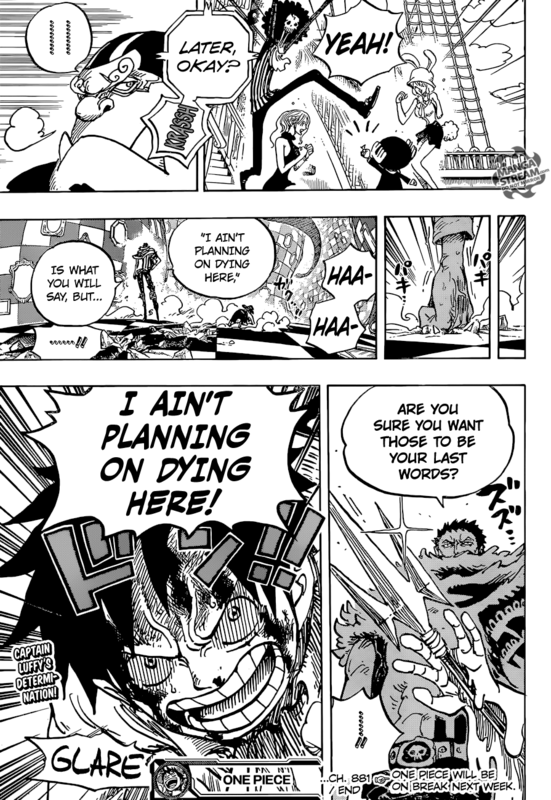 Luffy responds with those words, saying “he will not die here.” The real question regarding this part of the arc is what is Luffy going to do that can defeat Katakuri. It is the tendency of many shonen manga that the main character will ALWAYS find the strength to win. 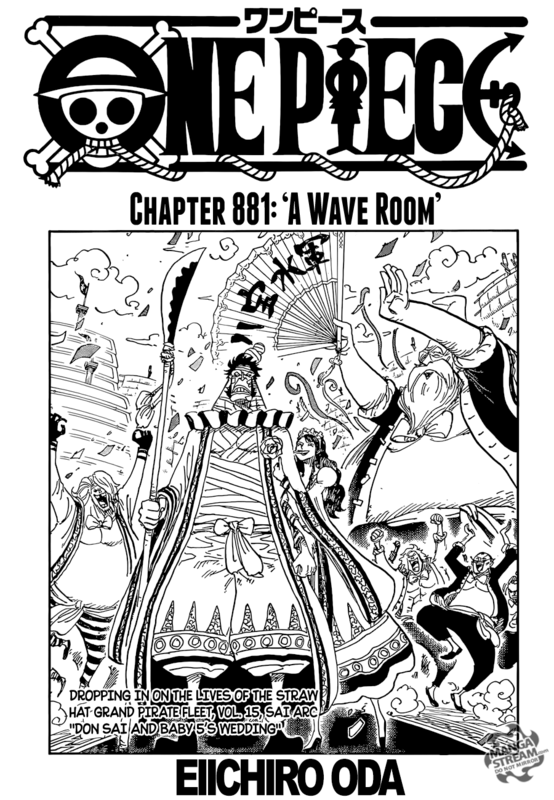 However, One piece at least occasionally allows Luffy and others to be defeated. It seems implausible that Luffy will “win” this fight, but he will likely escape somehow.